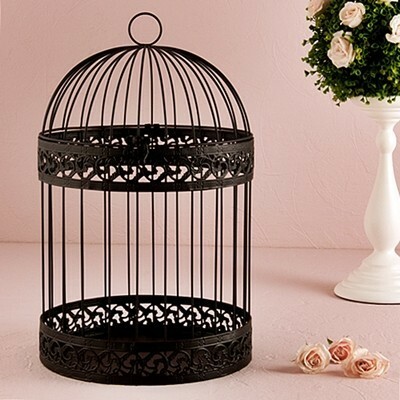 This round black decorative birdcage is painted in an elegant matte finish which gives it a timeless feel. Easily incorporate it into your reception decorations or use it as a unique wishing well to gather your guests' well wishes and advice. The birdcage is made of metal alloy wire with painted finish. Also available separately in white as Product Code: ER-9118-79.